U.S. Relations with its Neighbors: What do They Think of Us? Dr. Laura Dawson - Director, Canada Institute, Wilson Center; Ambassador Arturo Sarukhan - Nonresident Senior Fellow, The Brookings Institution; Former Ambassador of Mexico to the U.S.
For Mexico and Canada, the deal-making of President Trump’s United States-Mexico-Canada Agreement, which he called “the most important U.S. trade deal ever,” inspired bitterness and uncertainty. To explore “U.S. 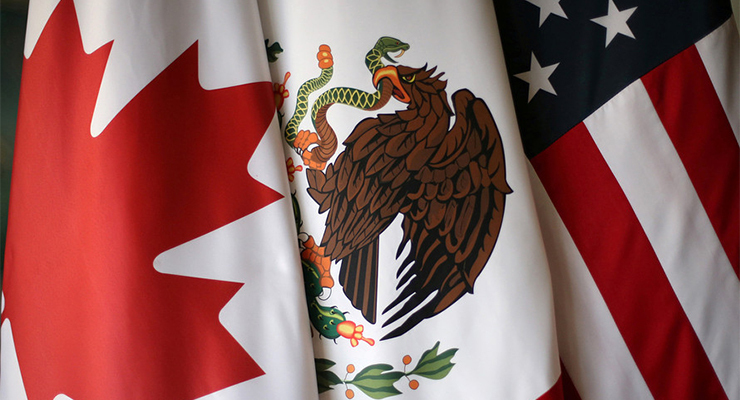 Relations With Its Neighbors: What Do They Think of Us?” the Council turns to Laura Dawson and Ambassador Arturo Sarukhan, veteran hands in the relationship that both bonds and irritates the three North American nations. Laura Dawson is the Director of the Wilson Center’s Canada Institute and recognized as an expert on U.S.-Canada political and economic relations. Founder of the economic consulting firm Dawson Strategic, she previously was senior advisor on economic affairs at the U.S. Embassy in Ottawa. Ambassador Arturo Sarukhan was Mexico’s ambassador to the U.S. (2007-13) and was involved in the early NAFTA negotiations in 1993. Currently he is an international strategic advisor and consultant based in Washington, D.C., and a nonresident senior fellow at the Brookings Institution.